This badge was issued to Man Parvesh Singh Randhawa on 05 Aug 2018. 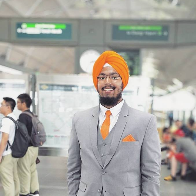 This badge earner understands relational database concepts, can construct and execute SQL queries, and has demonstrated hands-on experience accessing data from databases using Python-based Data Science tools like Jupyter notebooks. 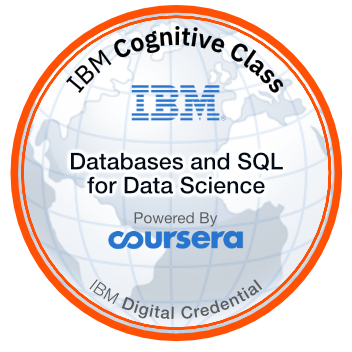 Complete the Coursera course "Databases and SQL for Data Science". Perform hands-on labs to create a Db2 database on IBM Cloud, compose and execute SQL queries, and access a database from Python based Jupyter notebooks. Complete the final course assignment to analyze data in a real-world data-set with SQL.